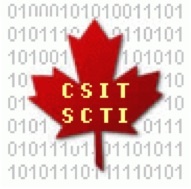 (June 28, 2016) The 15th Canadian Workshop on Information Theory will be held in Quebec City, Quebec, in May or June 2017. (June 7, 2016) The 15th Canadian Workshop on Information Theory will take place in Sherbrooke, Quebec, in May 2017. (September 23, 2015) The 28th Biennial Symposium on Communications will take place in Kelowna, British Columbia, in June 2016. (September 17, 2015) We are pleased to announce that the Society will now produce the Biennial Symposium on Communications (BSC). An announcement concerning BSC 2016 will be made shortly.